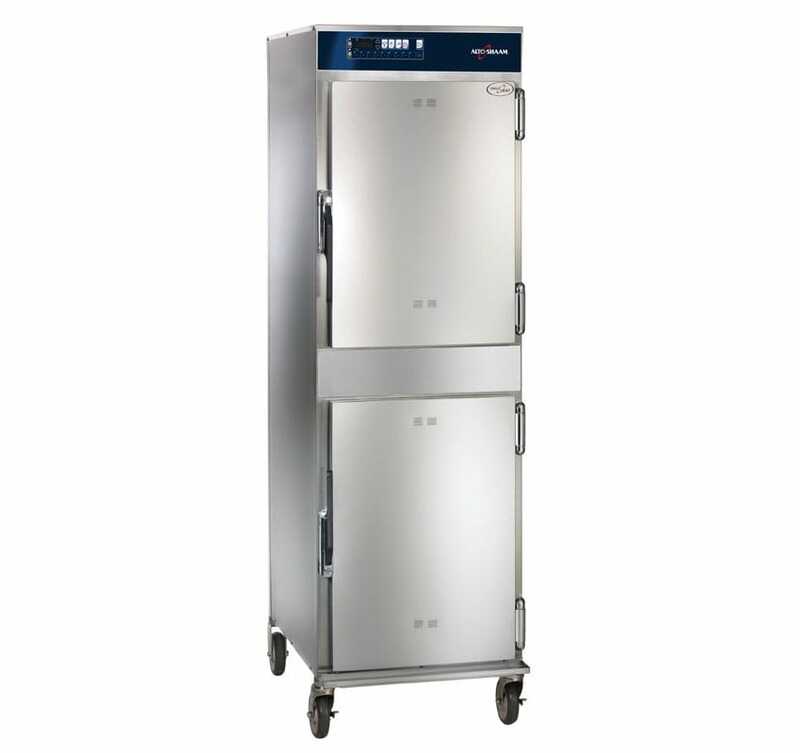 Alto-Shaam's 1200-TH-III low temperature cook and hold oven can cook, roast, and re-heat in the same cabinet with built-in "Set and Forget" controls that help save time and labor. This stainless steel unit uses Halo Heat, a gentle, precise heat source that maintains close temperature ranges throughout the cooking and holding process. Each of the oven's double compartments is made with two side racks with eight pan positions, three stainless steel wire shelves, a drip pan with a drain and an external drip pan.